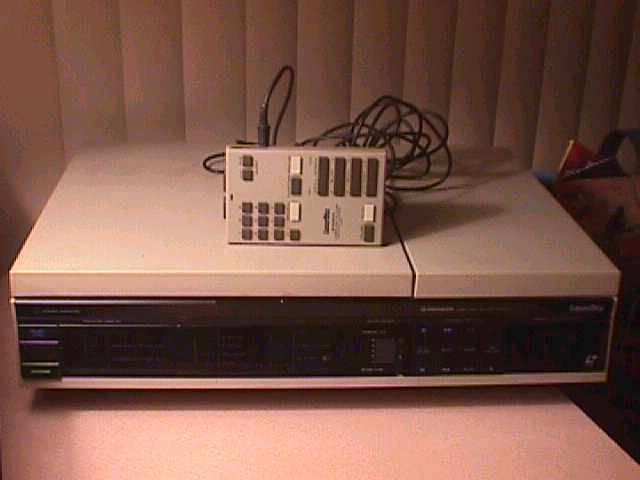 This is an NTSC laser disc player that was used in Cliff Hanger, Cobra Command (with proper hardware), Goal to Go, M.A.C.H. 3, Quarter Horse, and Us vs. Them. For info on the Pioneer PR-8210 Command Set, check the 8210 Command Set page. For more information on how the PR-8210 communicates with the games, check out Jeff Kinder's PR-8210 / PR-8210A doc. There has been some confusion in the past about these two laser disc players. Though they are very similar, there are some differences in how these two players communicate with the games. Below are pictures of the players and a description of their differences. NOTES: M.A.C.H. 3, Us vs. Them, and Quarter Horse will only work with the PR-8210, communicating via the 1/8" CONTROL JACK. Star Rider will only work with the PR-8210A, communicating via the 24 PIN MALE CENTRONICS CONNECTOR. Cliff Hanger and Goal To Go can use either laser disc player. With the PR-8210, Cliff Hanger and Goal To Go would communicate via the 1/8" CONTROL JACK. With the PR-8210A, Cliff Hanger and Goal To Go would communicate via the IR Interface. For info on how to modify your game to use the IR Interface, check Rob DiNapoli's Laser Disc Conversion page. For info on the Pioneer PR-8210 Command Set, check the 8210 Command Set page. 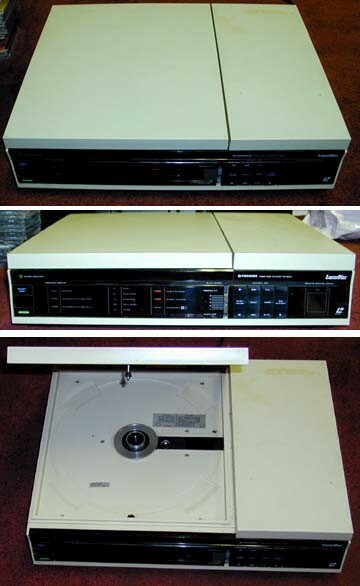 The archive site has a copy of the Operation Manual for the PR-8210. Please see the manuals page.